LOS ANGELES — "What is... yes!" Luckily, that was what Maria Shafer said to her now-fiance, "Jeopardy!" contestant Michael Pascuzzi, when he proposed to her mid-show on Thursday. "Now ladies and gentleman, normally when I interview the contestants I base my conversation on little bits of information they've supplied us, but with regard to Michael Pascuzzi from Orlando, Fla., I have absolutely nothing on the card," said host Alex Trebek in the clip. "I can fill in for ya," Pascuzzi said. "I just want to say one quick thing, and ask Maria Shafer right there, if she would make me a winner today and marry me?" At that point, the camera panned to Shafer, who replied through tears, "Yes, of course!" "Maria, you responded too quickly. I was about to say, 'We'll have the answer to that question right after this commercial break,'" Trebek interjected to much applause from the audience. "That would be 'What is yes," Shafer said with a laugh. Pascuzzi lost the round to returning champion Evelyn Rubin, but Trebek still wrapped up the show with a nod to the proposal. "Great day for us and a great day for Michael," he said. The newly engaged Shafer later joined her fiance Pascuzzi on stage for a kiss. 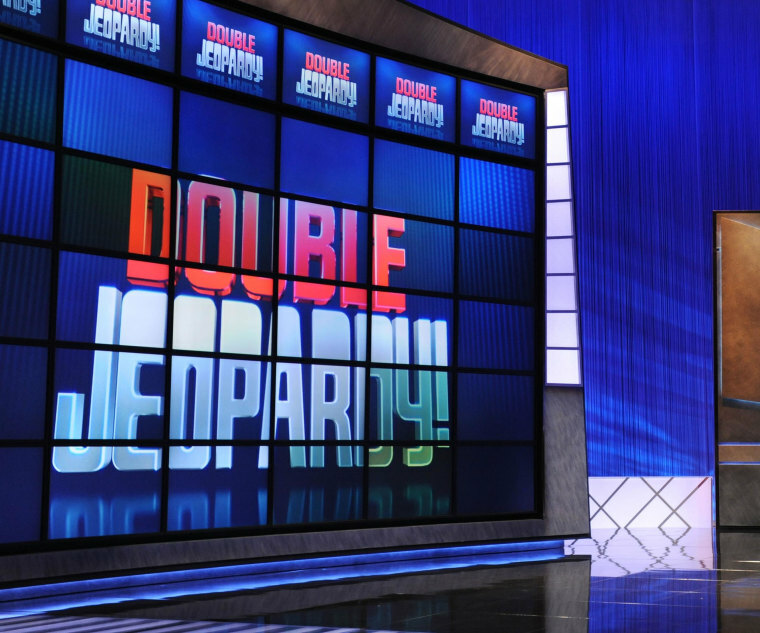 The televised engagement was arranged with the help of "Jeopardy! 's" contestant coordinator Corina Nusu, according to the Orlando Sentinel, which also reported Pascuzzi's request to "See if Alex wants to marry us. We'll come out here!"